uniquely designed to do just that. Enjoy Patricia Charpentier's guest post and consider how you can upgrade your own gratitude practice throughout the coming holiday season. 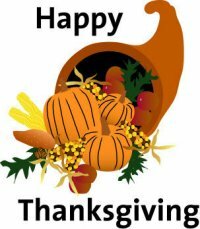 As Thanksgiving Day approaches, I want to express my deep gratitude for the people, like you, with whom I come into contact while doing my work. I feel fortunate to be able to help so many people preserve their memories and the memories of their loved ones for themselves, their families, and the generations to come. As part of my writing and spiritual practice, I make a gratitude list every day. My gratitude list helps me see the world differently and urges me to look for the good even in difficult situations. My sweet husband Bob tops my list most every day. The beautiful view I look out at each morning also appears regularly as does the clients and class members I work with and the amazing stories I hear daily. This practice bolsters my spirit and helps me refocus my attention and my intentions onto what is important in life. I’d encourage you to try it, and this season of Thanksgiving is a great time to do that. A five-year journal makes a wonderful gratitude journal, and I know many people who use them for just that purpose. In it, you can compare your own gratitude list today to your previous lists. Once completely filled, you will have a record of five years worth of gratitude! Wouldn’t this journal make a lovely hostess gift for the people at your Thanksgiving table? Of course, a five-year journal need not be limited to gratitude lists. It can contain your memories, advice, and hard-earned nuggets of wisdom, handwritten and treasured or even given to a loved one once completed. The top of each page in this sturdy, hardback journal displays the month and day at the top of the page, provides a space for you to insert the year, and offers six ruled lines for each of the five years. Choose from chocolate brown, hunter green, sapphire blue, navy blue, or cranberry red–whatever best suits your style. To read more about the five-year journal or order one or more copies, follow this link: five-year journal. And remember, I can ship it directly to that special loved one in your life, and I’ll do so the day you place your order. Priority shipping for last-minute orders is also available. As a special thank you for being part of the Writing Your Life family, use the coupon code gratitude and take two dollars off the cost of shipping your five-year journal. Keeping a gratitude list in my five-year journal has certainly done that for me. Writing my life stories and helping you write yours has done that for me, too. For that, I am truly grateful. Thank you. I hope you have a happy and gratitude-filled Thanksgiving.